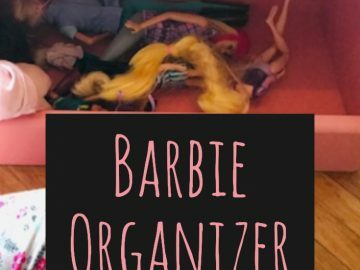 Do you have a favorite pin on Pinterest that you look at it and think I love love love it? I do and the March Pinterest Challenge Blog Hop hosted by My Pinterventures is the perfect time to create it. The purpose of this Pinterest Challenge is to motivate all the participants of this hop (and you too) to not just pin, but to make it happen! It was the perfect time and opportunity to make the pin I’ve been dreaming about. 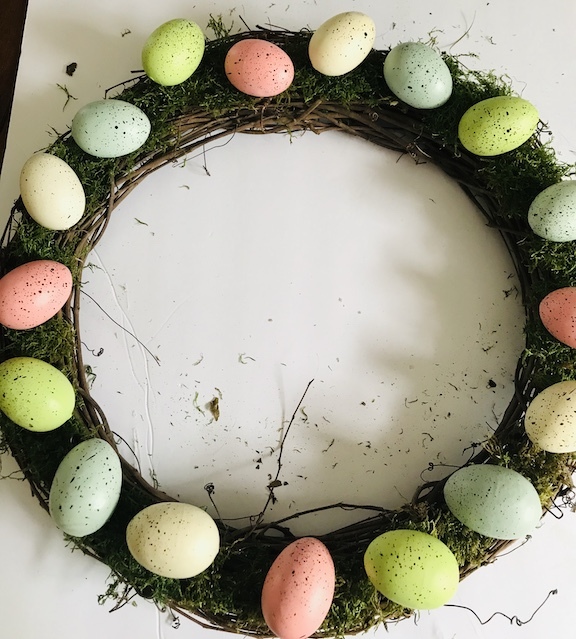 Every spring I look at this Easter Egg Wreath from A Pumpkin and A Princess . It’s gorgeous! This wreath took hours to make, seriously this is the longest I have ever worked on a wreath. I was so involved I didn’t notice my kids made a complete disaster of the living room. What a mess! Plus this was Day 1 of the wreath, it actually took me 4 days to make this. The first day I survived getting the moss, eggs and some floral, but it was missing something. On the second day I added the white floral after a quick trip to the dollar tree. I noticed it needed more white florals and if you add florals you have to add moss, which happened on Day 3. Day 4 was easy because I created a bow with my new bowdabra. This is the messiest wreath I have ever made too. I’m not sure I will ever make another wreath with moss again. Make this on a piece of poster board or form board because it’s so messy. Another tip is I would add the florals first, then the moss and then the eggs. 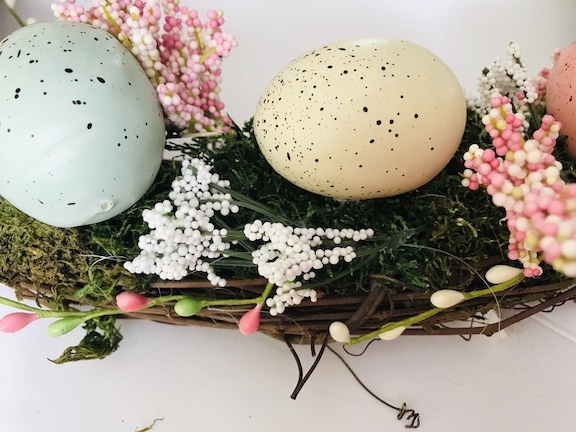 It was stressful because everything is pretty much hot glued so if you didn’t like it, you had to pull out the eggs, the moss and the florals. Plus make sure you have alot of hot glue sticks, I seriously used an entire package on this wreath. 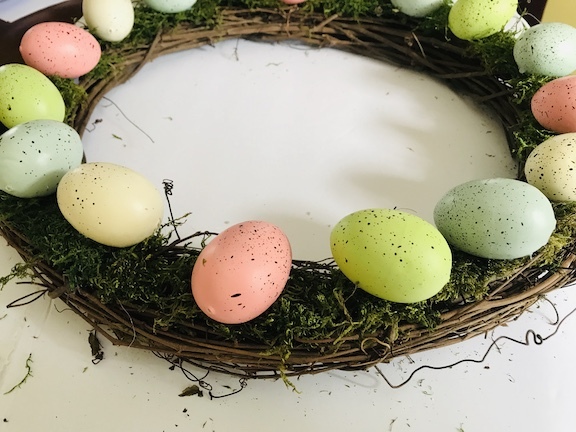 Creating this was worth it because now I have a very pretty Easter Egg Wreath, but I’m going to be honest about the work and the mess it took to make this beautiful piece. 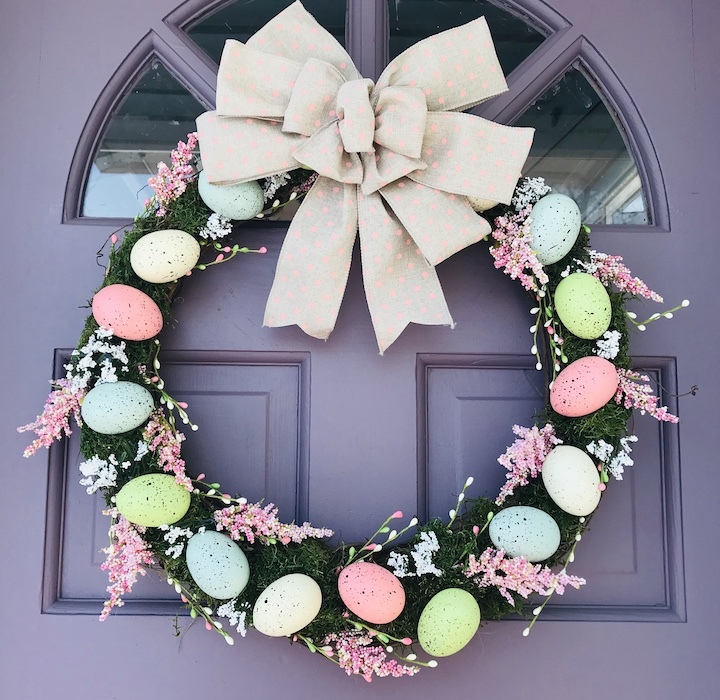 If your looking for an easy wreath for Easter, my Simple and Chic Bunny Wreath is perfect for you! 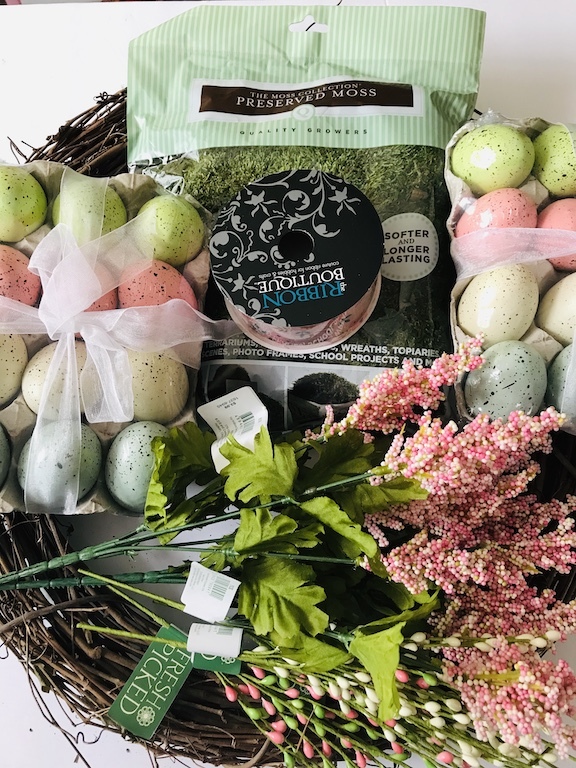 has these speckled Easter Eggs in the store. 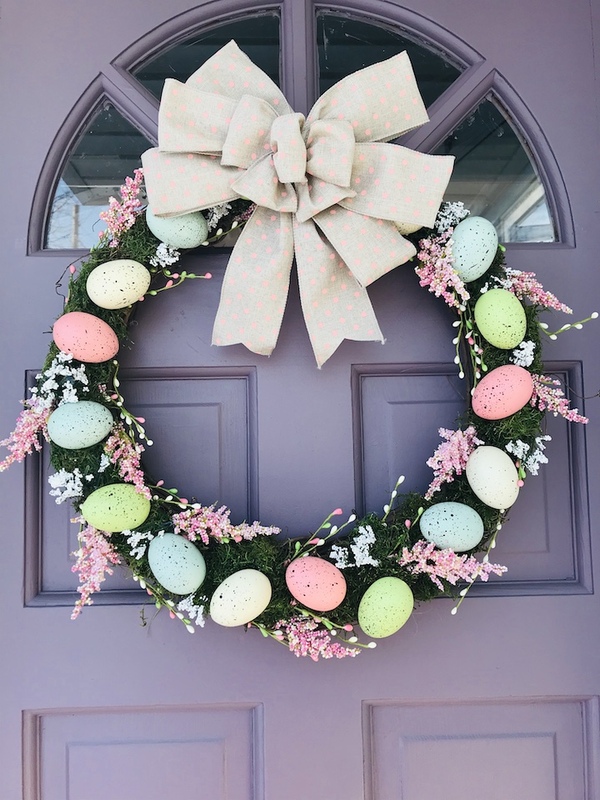 The florals and the grapevine wreath are from Joann and the eggs are from Hobby Lobby. I followed the tutorial of the original wreath. 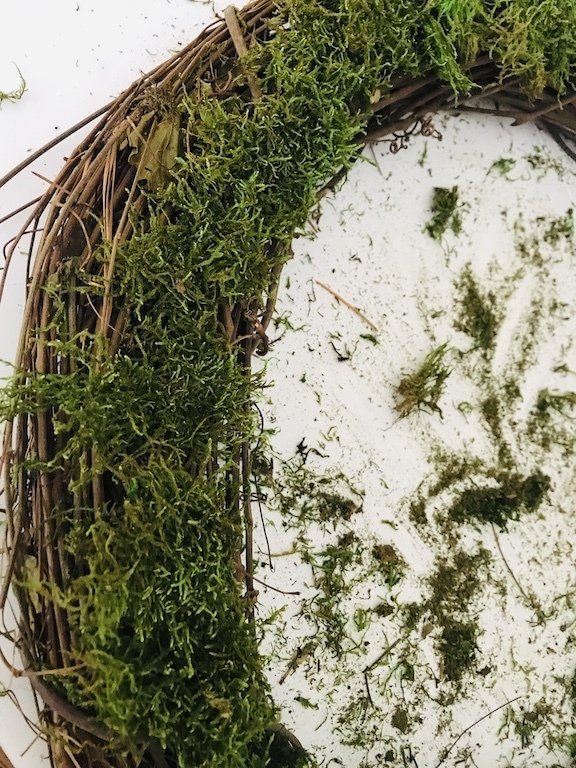 I began by glueing on the moss all the way around the wreath. Just do a thin layer because you will add more on top of it after you add the florals. Then glue on the eggs all the way around. In the empty spaces add in the florals. I love the beaded florals so I added those in. Honestly you can use any florals that make you happy. 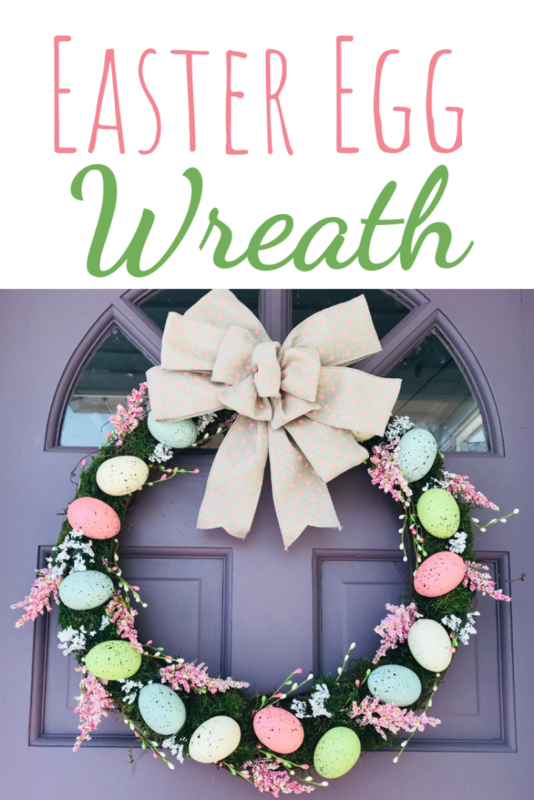 Hot glue everything down, then hang the wreath and look at it and add in as needed. Remember if you add florals, you have to add moss to cover the stems. Have a craft stick or something you can use to press it down so you don’t burn your fingers. 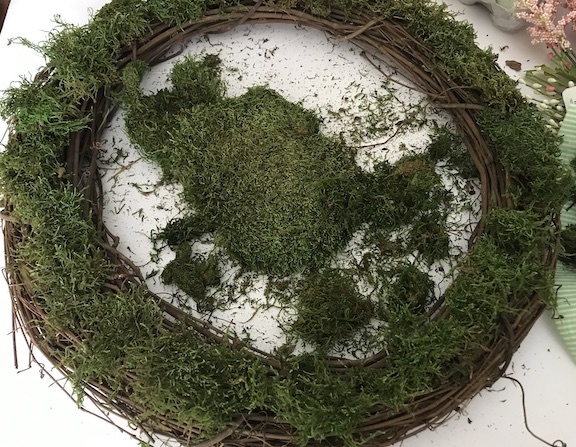 If you are familiar with the children’s book series, “If You Give a Mouse a Cookie”, that was me with this wreath, one thing just led to another. I waited until the wreath was finished to go around and pull off all the hot glue pieces. One of my crafting goals for the year was getting the Bowdabra Bow Maker and creating beautiful bows. This was the perfect project for the bowdabra. I watched many youtube videos and gave it a try. The ribbon from the supplies photo wasn’t wire ribbon- oops! So I went to every craft store and finally at Michaels I found this polka dot burlap ribbon that finally matched the wreath. I was so surprised by the lack of spring ribbon in the craft stores. This is my first bow and I think it looks pretty good (the tails definitely need to be longer). I’m definitely going to keep making bows and practicing, but the Bowdabra helped so much. What do you think? It’s so pretty and looks amazing on the door. In the end it was worth the mess, the hours, and all the glue gun burns.